It's been a while since I've had some time to myself. Lately I've been carrying the load when it comes to watching the kids on the weekends since D doesn't go to church and isn't comfortable visiting our family on Ebeye when we go on Mondays. To be fair, there are some Marshallese cultural taboos regarding the Monday visits that keep D from going but it still leaves me managing three small children on my own for several hours. D repaid me in kind this weekend when he took all the kids to one of the (many) birthday parties they had been invited to. I had two whole hours all to myself at the house. The first thing I did was to make a list of all the things I thought I should do: tidy up the house, empty the diaper pail, pick up Fire's shoes from a friend's house, sew up a tear in Sky's dress, hand-wash some clothes, empty the dishwasher, and make our bread for the week. The second thing I did was to completely ignore the list and everything that I thought I should be doing and do something I really wanted to do instead. and started on Water's cross stitch project. I've made one for each of the kids and I'm finally starting on his. Sorting all the thread before a project is so satisfying for me! I love seeing the rainbow of colors gradually fill up the holder. I even got some stitching done. It was so wonderful just to have some time to myself and to spend it doing only what I wanted to do. I felt like I got something accomplished but didn't feel like I'd martyred myself and my personal time for my family (Moms, I know you know what I mean!). When D and the kids got home from the party, I was happy to see them and I was ready to re-engage. And that big list of chores that needed to get done? All of them were finished during nap time and none of them felt like a burden, like they would have if I'd done them in the morning. I'm constantly surprised how necessary little moments like this are when I'm juggling a full time job and a family, and I really need to carve more of them out for myself. 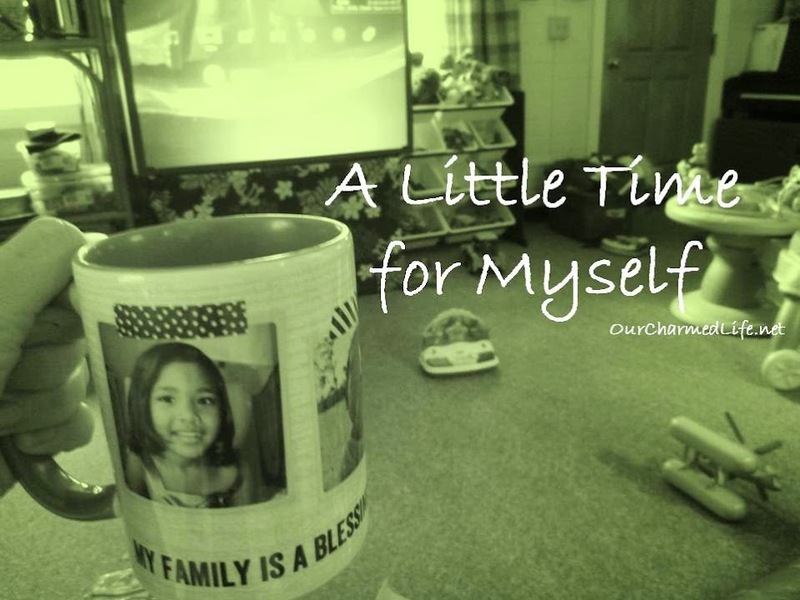 Do you find it hard to make time for yourself in your day? Do you have any tips to share? What do you do in your personal moments- are you crafty, or a reader, or is there a TV show you turn to? Love your blog, story and family journey. Thanks for sharing! coming to you fromThe Dwelling Tree link this week.